Sailing past spectacular scenery, riveting ruins and intriguing islets, you will soon feel like there is nowhere else you would rather be. 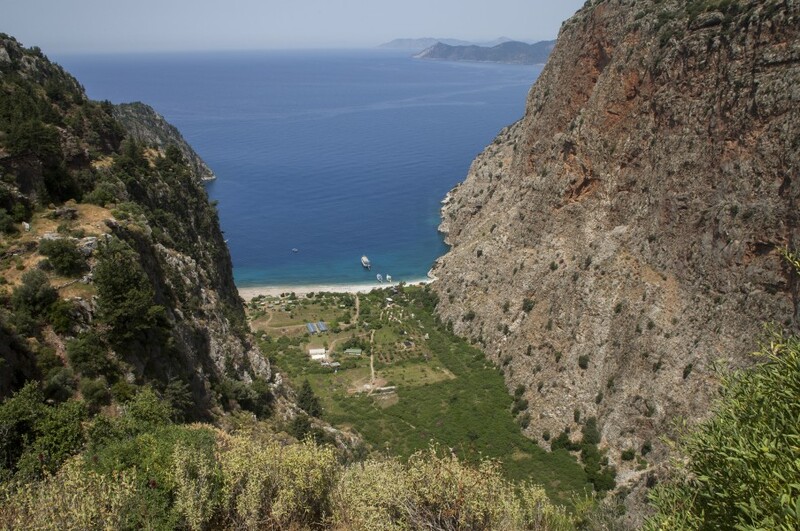 The Lycian boasts some of the most remarkable coastlines in the Mediterranean and our bases in Göcek and Fethiye are perfect places to start your adventure. During the week you will sail through tranquil turquoise waters, past rugged landscapes, and into beautiful bays. You will discover spots that are perfect for a lunchtime swim, or ideal for watching the sun go down whilst enjoying an ice cold beer in the evening. 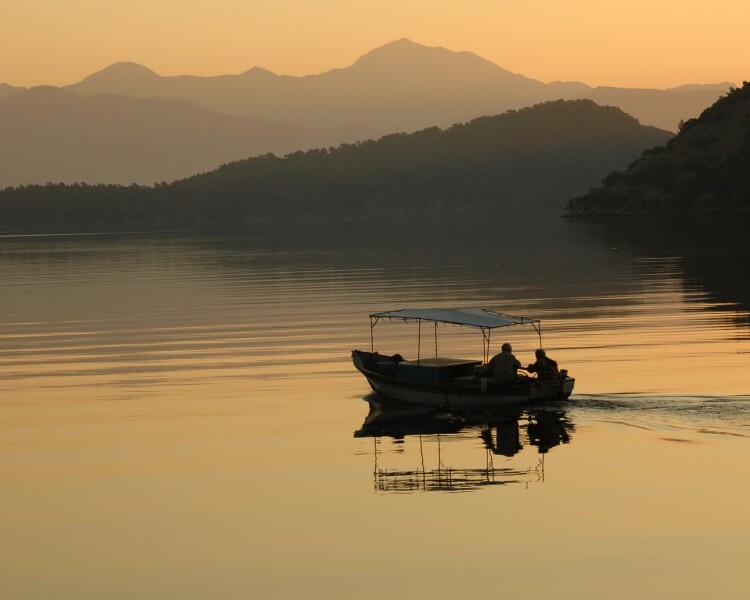 Turkey is a brilliant holiday destination - from tasting traditional Turkish cuisine, to relaxing in mud baths, or exploring ancient ruins - there is something for everyone... and the sailing is pretty good too! 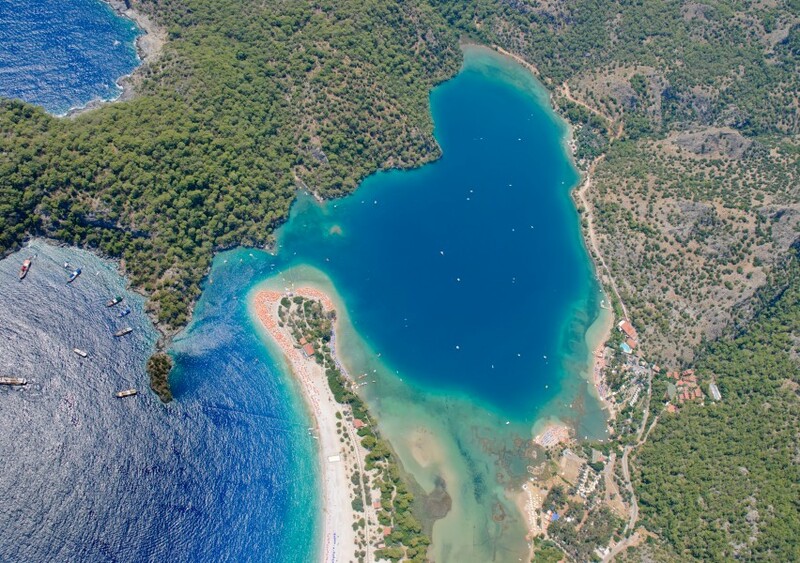 Olu Deniz and Butterfly Bay are vibrant with colour; green/blue waters lap the white sandy beaches, while beautiful pink fauna frames the coastline. The food along the coast is mouth-watering and known to be amongst the best in the country. There are many family run restaurants hidden within lovely little bays, serving some of the most delicious food we have ever tasted. You will find that the weather in Turkey is warm and sunny for a much longer period than a lot of our other Mediterranean destinations. A great place to visit earlier or later in the season! 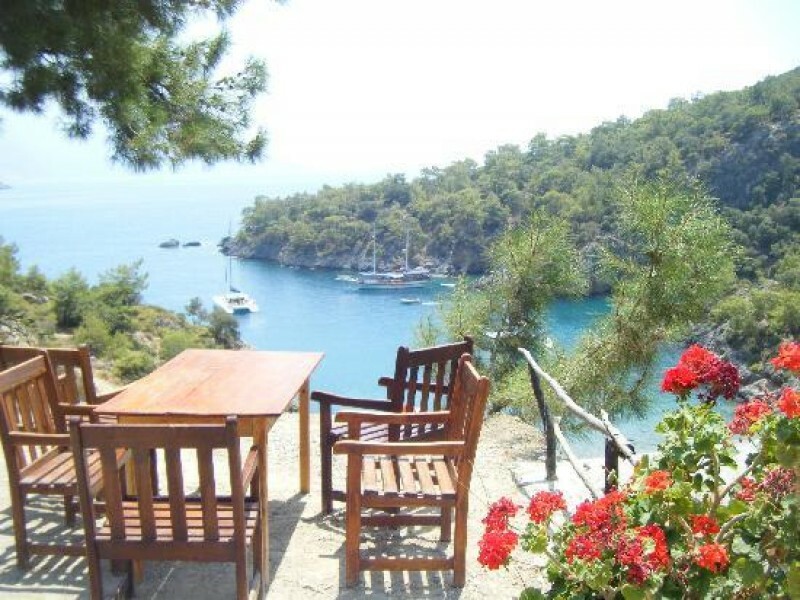 The wind along the Lycian coast is from the North-North West with an average of force 2-4 in the summer season. This makes it ideal for those looking to take it easy. After arriving at your base in Gocek or Fethiye, it is time to check in before relaxing with a nice cold beer and enjoying your first evening. 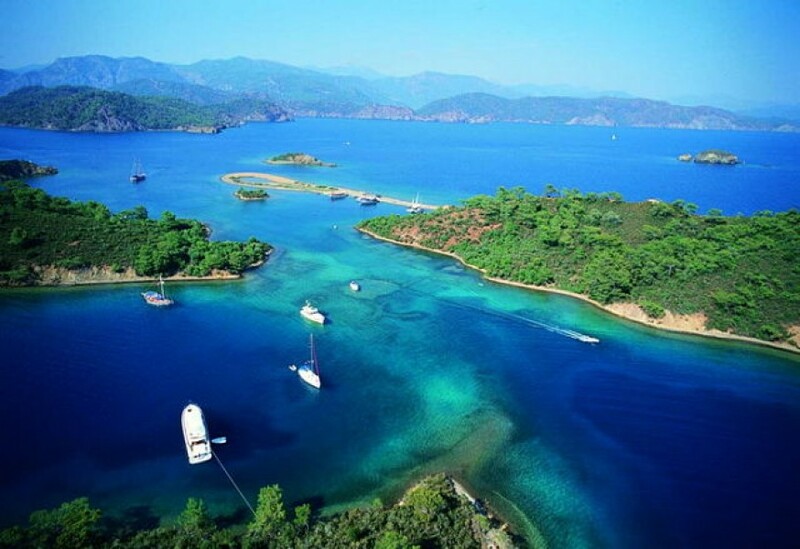 Your first stop could be Tersan Adasi, an island on the Lycian coast and one of the biggest in Skopea Limani. The island includes a well-protected bay in the North West corner, which homes a lovely restaurant set amongst several Byzantine ruins. You will find more interesting ruins in the North East of the island, where lots of ancient buildings are scattered across the hillsides. These have all been abandoned and can be explored once you get onto land. Over the next couple of days you can make the short sail west to visit some of the beautiful bays that line the coast. 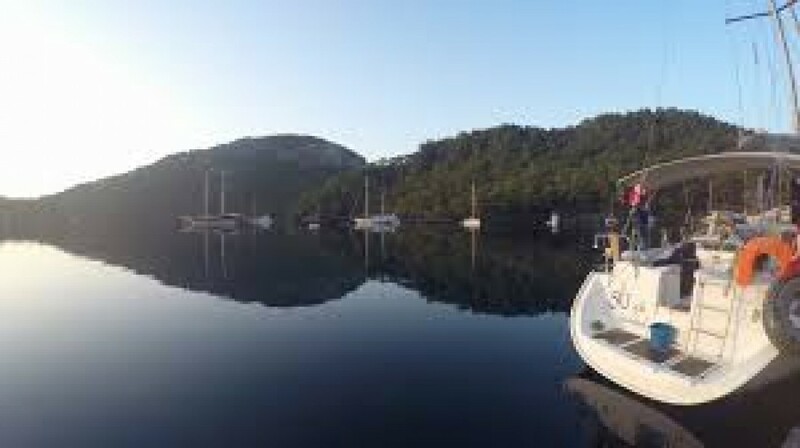 Due to its stunning features, Tomb Bay is one of our favourite anchorages along the Lycian coast. The bay has space for several yachts to moor up in overnight, but it’s also a great place to anchor in for a spot of lunch and a refreshing dip. There are a few restaurants dotted throughout the bay, giving you a selection of delicious Turkish dishes for either lunch or dinner. Another favourite spot is Wall Bay. The beach here is a great size and a lovely place for a bit of volleyball or simply for a swim and a snorkel. If you feel like a walk then you should head up to the tombs and the Byzantine Haman, which is a Turkish bath. These both take around an hour to get to. It's about time you got some real sailing in now and what could be better than a nice 20 mile sail south to Butterfly Bay? 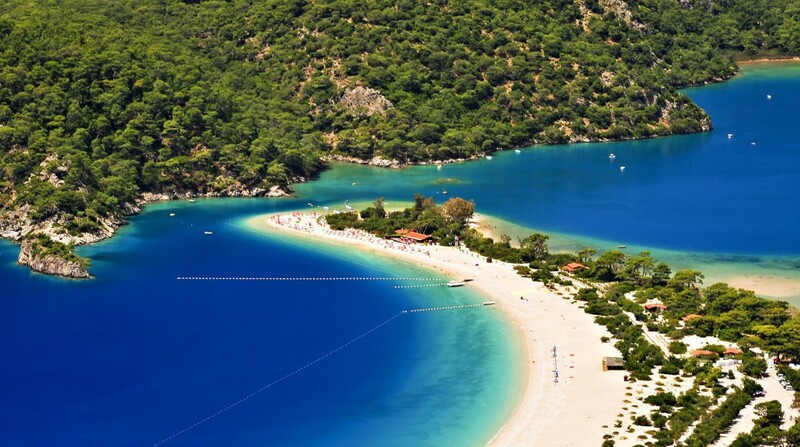 Butterfly Bay is located in a valley in the Fethiye district of Mugla province, southwest Turkey. The valley is situated at the foothill of Babadag, a high mountain that has been nominated for its preservation as a world heritage site. A wide sandy beach lies at the bottom of the valley with a trail leading to two waterfalls, both of which are a must-see. 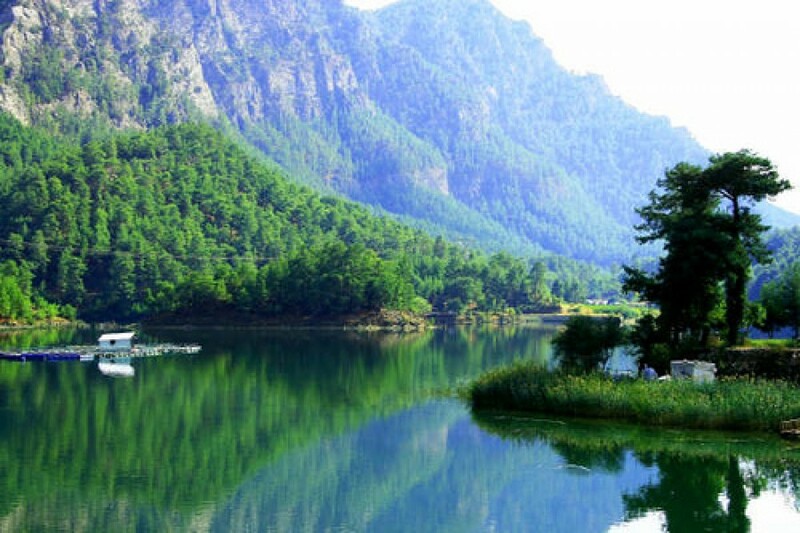 As you start to head back up north don't miss out on visiting Karacaoren, Oludeniz and Cold Water Bay. All three are beautiful beaches with lovely restaurants, great anchorages, and handy ports. As your week draws to an end, it is unfortunately time to head back to base. 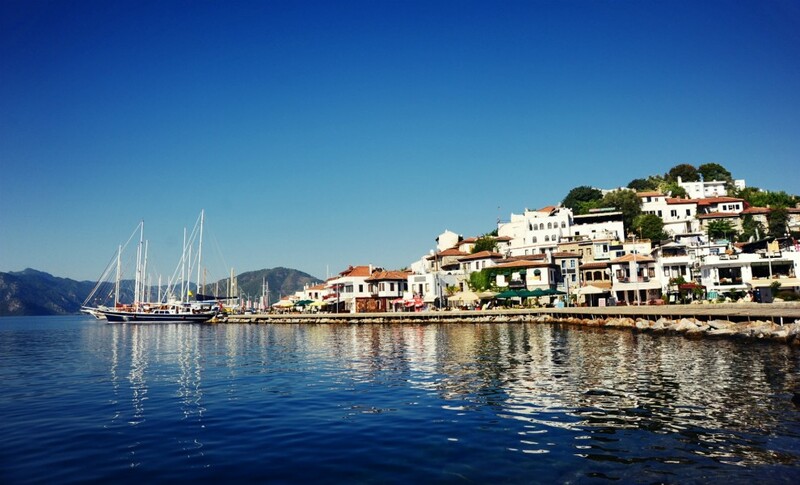 While you sail up the coast you will not want to leave the stunning mountain views, historical ruins and clear blue waters. We recommend heading back to base on the day before check in, giving yourself plenty of time. You can then relax and enjoy one last day in the local town, experiencing more of the tasty traditional cuisine and browsing through the various Turkish Bazaars.